The BSA Avalanche U-15 Girls takes 1st Place in Montgomery tournament! 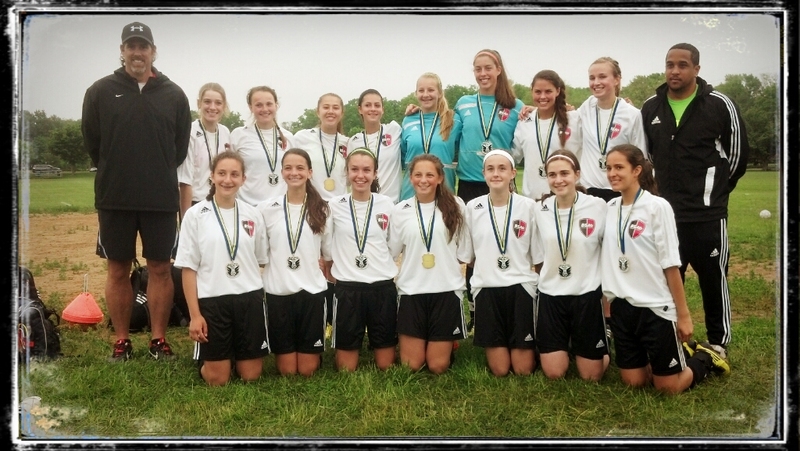 Congratulations to the Bridgewater Soccer Association U15 Girls Soccer Team, AVALANCHE, as they took first place in the Montgomery Soccer Club 2013 Shoot for the Cause Soccer Tournament/Fundraiser on May 20-21, 2013. This tournament raised funds this year to support the Knights for Life Foundation which supports individuals and families who are facing issues related to declining health or who have experienced profound loss. It was a great experience for all! GO AVALANCHE!! !